(Reuters) - Bank of America Corp (BAC.N) joined other lenders in expressing concern about weak oil prices after the No. 2 U.S. bank by assets reported better-than-expected quarterly earnings, helped by a drop in costs and revenue rises in most of its businesses. U.S. banks, like their global counterparts, have had a rough year as falling oil prices and worries about slowing growth in China contributed to weakness in credit markets, pressuring revenue growth. The new year also started on a grim note as oil prices fell below $30 a barrel and stock prices slumped. Bank of America said on Tuesday its provision for credit losses in global banking increased by $264 million in the quarter ended Dec. 31, mainly due to higher energy-related charge-offs and reserve increases for energy exposure. The bank has $21.3 billion in energy-related loans, representing about 2 percent of total loans, Chief Financial Officer Paul Donofrio said on call with reporters. "As we continue to assess and react to future changes in the energy sector we could see lumpiness that could potentially drive provision expense over $900 million," he said on a later call with analysts. JPMorgan Chase & Co (JPM.N) and Wells Fargo & Co (WFC.N) said last week they had increased provision for sour loans related to their energy portfolio. 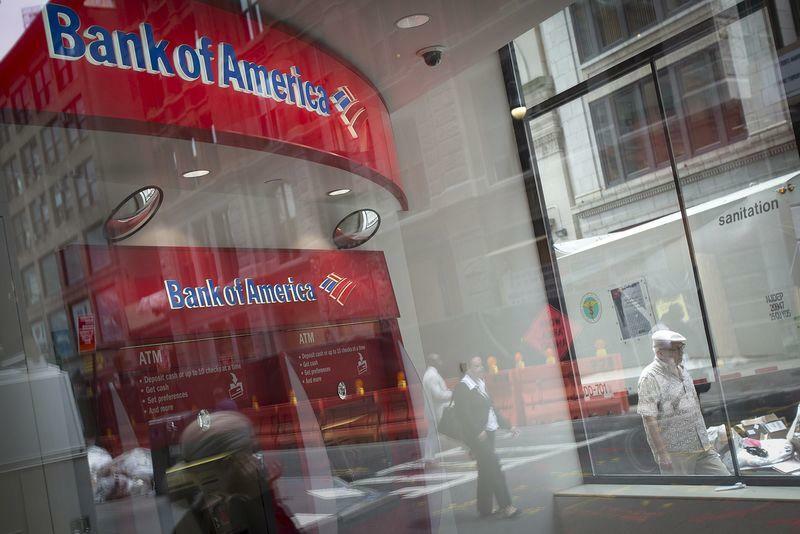 BofA said its net income attributable to common shareholders rose to 9.8 percent $3.01 billion, or 28 cents per share, in the quarter, helping the bank achieve its highest annual profit in nearly a decade. On an adjusted basis, the bank earned 29 cents per share, topping analysts average estimate of 26 cents, according to Thomson Reuters I/B/E/S. Non-interest expenses fell 2.3 percent to $13.87 billion, mainly due to a 28 percent drop in costs, excluding litigation, in the bank's legacy asset and servicing unit, which houses many of the bad loans inherited when it took over Countrywide Financial Corp in 2008. "Our key conclusion from the results is that Bank of America continues to make progress on its key priorities of growing loans and business volumes to drive higher revenue and reducing core expenses," Eric Wasserstrom, an analyst at Guggenheim Securities, wrote in a note to clients. this progress in the short term," he added. The bank's shares were down 2 percent at midday after rising as much as 2.2 percent in early trading. BofA has been hit by high legal costs since the financial crisis, undermining many of the cost cutting initiatives initiated by Chief Executive Brian Moynihan. "We'll continue our sharp focus on risk management and we'll continue our cost discipline as we look to continue to improve return on capital metrics of our company," Moynihan said on the analysts' call. BofA's total revenue rose 4.3 percent to $19.53 billion in the fourth quarter, with revenue from consumer banking, BofA's largest business, increasing 0.4 percent. Global markets revenue rose 31 percent to $3.13 billion, accounting for 16 percent of total revenue. Revenue from fixed-income trading rose 20 percent. Total net charge-offs rose 30 percent to $1.14 billion. Up to Friday's close of $14.46, BofA's stock had fallen 14 percent this year, compared with a 12.9 percent fall in the KBW Bank Index (.BKX). The stock fell 5.9 percent in 2015.